Mildred Evelyn Eckert Carder, 94, died peacefully in her sleep on November 25, 2015 at Patriots Colony in Williamsburg, Virginia. Born July 31, 1921 in Mason, Texas, she is predeceased by her parents, Kinney and Zilla (Wood) Eckert of Mason, Texas and her husband, John Thomas Carder of Johnson City, Tennessee. 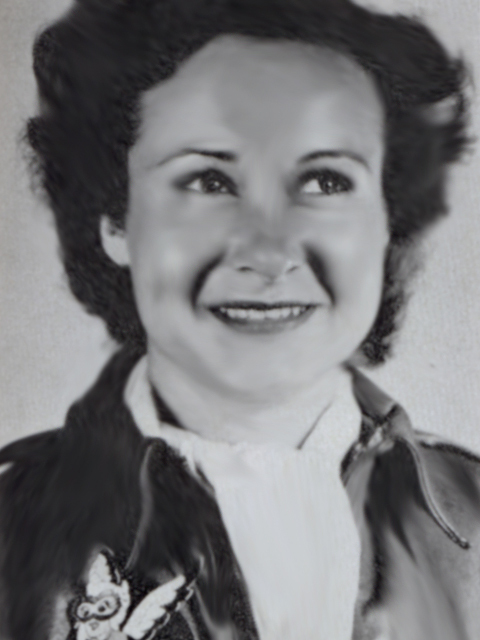 In 1942, Mildred graduated from the University of Texas with not only a Bachelor of Arts degree but also a private pilot’s license. Her love of flying led to a position as a Link instructor, teaching instrument flying to Navy cadets at the U.S. Naval Air Station in Corpus Christi, Texas, followed by selection for the Women Airforce Service Pilots (WASP) training program at Avenger Field, Sweetwater, Texas. 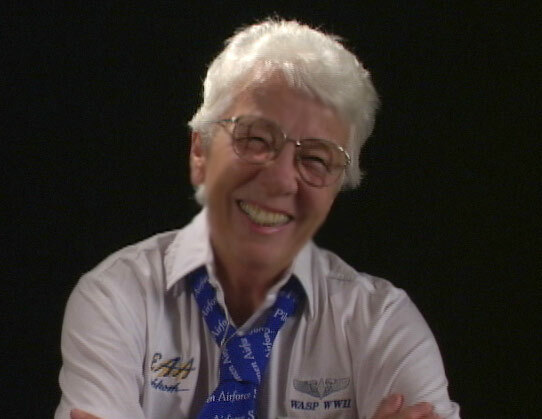 *On September 8, 1944, Mildred and 58 of her classmates were awarded their WASP wings. Following graduation, she was assigned to Stuttgart Army Air Base in Stuttgart, Arkansas. WASP at this twin engine training base flew AT-10's, AT-6/s, UC-78's and UC-64's. 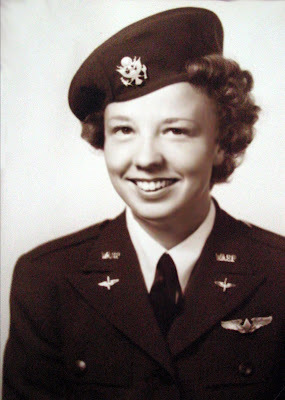 Mildred was assigned to operations, where she flew weather hops, engineering check flights, utility hops and grave yard shifts to pick up pilots taking planes to storage. After WWII, marriage, children, and traveling the world with her Air Force husband, the family moved to Jonesborough, Tennessee in 1963 where Mildred resumed her teaching career. She earned a Master of Arts degree from East Tennessee State University in 1973 and retired from the Washington County, Tennessee school system in 1984. Mildred loved to travel and read, never losing her enthusiasm for adventure and learning. Mildred was a member of Delta Kappa Gamma Society International, Phi Delta Kappa educational fraternity, Alpha Omicron Pi sorority, the Order of Daedalians association of military pilots, and the Williamsburg United Methodist Church. 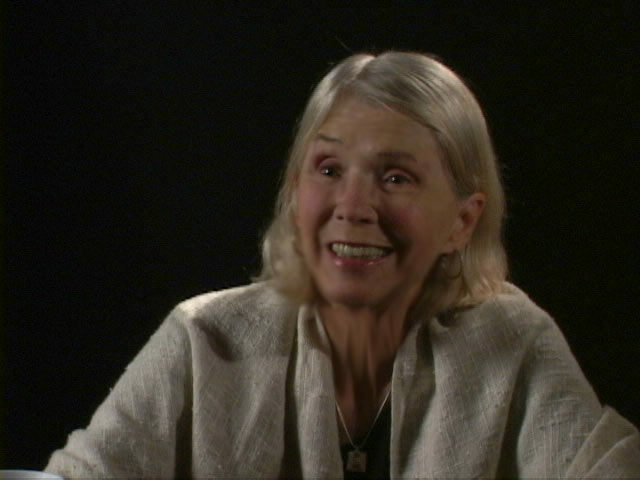 Survivors include her two sons, Patrick Carder (Sandra) of Williamsburg, Virginia, and Kinney Carder (Virginia) of Leesburg, Georgia; three grandchildren: Charles Jonathan Carder (Joy) of Williamsburg, Virginia, John Clinton Carder (Margie), and Courtney Leigh Carder Paulson (Dan) of Leesburg, Georgia. Mildred’s six great-grandchildren of whom she was so proud are Olivia Grace and Charles Jonathan, Jr. (Jack) Carder of Williamsburg, John Griffin and Talley Grace Carder of Leesburg, and Makenna Elise Fisher and Connor Daniel Paulson also from Leesburg. A Celebration of Life will be held at Patriots Colony, 6200 Patriots Colony Dr., Williamsburg, VA, at 3 p.m. Thursday, December 3, 2015. Graveside services will take place at 10 a.m. Monday, December 21, 2015, at Mountain Home Veterans Cemetery in Johnson City, Tennessee. In lieu of flowers, the family requests that memorials be made to the Wounded Warrior Project. Please leave online condolences for the family at Nelsen Funeral Home. 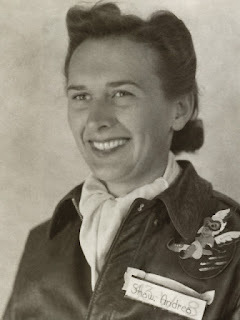 "Out of the Blue and Into History" by WASP Betty Turner p. 459, Mildred Carder in her own words. 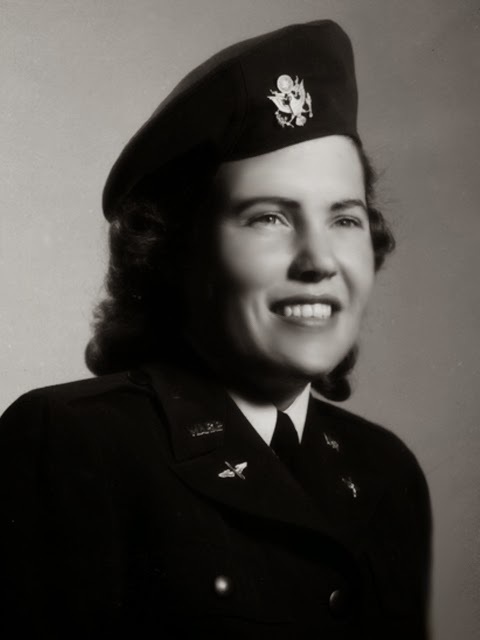 Virginia Lee Jowell Hagerstrom (Class of 43-W-4) was born December 12, 1920 in the small East Texas town of Frankston. She excelled in school and had her heart set on going to college, even though it was the middle of the depression. She managed two years at Lon Morris, a small Methodist college in nearby Jacksonville, by literally singing her way through in a small band that toured the state on weekends and holidays. She then transferred to Stephen F. Austin State Teachers College in Nacogdoches where she graduated with a major in English and a Spanish minor. While there she participated in the Civilian Pilot Training Program and after graduation went to work for Delta Air Lines in Atlanta as a ticketing agent. When the WASPs were organized, she applied and was accepted. During her time at Avenger Field in Sweetwater she made friendships that lasted her entire life. She was still a WASP when she met her future husband, James P. Hagerstrom -- fresh back from his combat tour in New Guinea. They were both Army Air Force pilots passing through Orlando, Florida. He proposed three weeks later and they were married at Romulus Army Air Base, Michigan, where Lee was stationed, with a fellow 43-W-4 classmate Grace Clark Fender as maid-of-honor. The couple settled in Houston and Lee taught school until the birth of her third child. With the outbreak of the Korean War her husband was recalled to active duty and he again flew combat missions (he became a double fighter ace, as he was also an ace in WWII). The fifties hosted the birth of five more children, and postings in Virginia, North Carolina, Texas, Japan, and Hawaii. 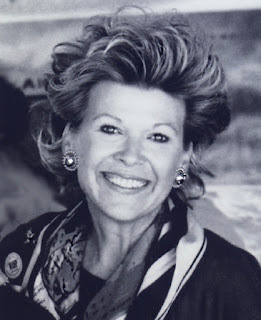 The sixties were spent in Southern California where Lee returned to teaching and her husband attended law school at night while finishing out his Air Force career, including a tour in Vietnam and Thailand. In the seventies the family began a series of adventures on sailing yachts, even building one from the keel up. They sailed down the coast of Mexico, to Hawaii, and to Micronesia. The eighties first saw Lee and James in the Dominican Republic, and then back in Micronesia where Lee taught at the college and James was legal advisor for the local government. In the early nineties the couple moved to a small town in northern Louisiana, where they spent their time gardening and enjoying visits from family. After the death of her husband in 1994, Lee lived with one or another of her children in San Francisco, Korea, Burma, Mexico, Maryland, and Texas. Her last years were spent near family on the Eastern Shore of Maryland. She died there, peacefully, on the morning of May 28, 2015. A funeral service is planned for September. She will be buried, as WASP Lee Jowell Hagerstrom, with her husband in Arlington National Cemetery. Respectfully posted by Lee's family. *. Quote from Lee's interview with Wings Across America. Meeting Lee Hagerstrom was a wonderful, unexpected blessing, as we walked into the WASP tent at Oshkosh in 2003. Lee was delightful, charming, energetic and warm and delighted to meet 2 fellow Texans. Our second meeting with Lee was in Rio Rocco, Arizona. We turned on the video camera and were mesmerized by her stories and her enthusiasm for many hours. 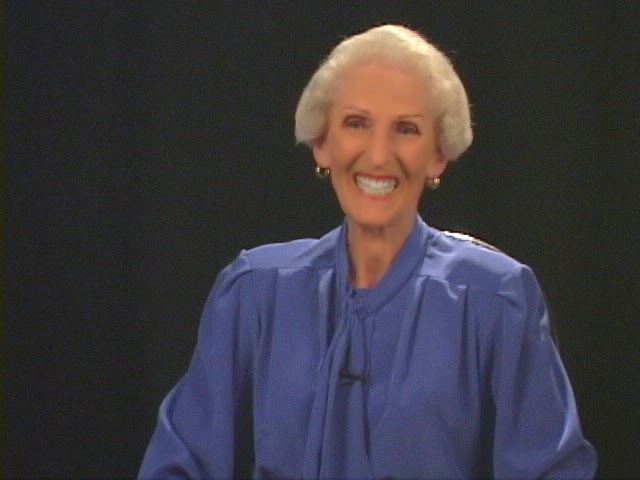 We will never forget her kindness and the beautiful sparkle her eyes when she talked about her family and about flying. God bless all those whose lives were touched by this amazing WASP. "I volunteered for the Air Force during the Korean conflict. I assisted, then became CO WAF Squadron of 200 ladies for three years." Andrea C. Shaw was born in Bakersfield, California on March 18, 1919. The facts of her early life story are brief, but her life was filled with service to her county, no matter what the challenge. She entered WASP Training -- reported to Avenger Field, Sweetwater, Texas with 97 other hopeful young women pilots. After approximately 6 months of Army Air Force flight training, she was among the 48 proud graduates of class 43-8. She earned her silver WASP Wings and assigned to Merced Field, California. From Merced she was transferred to March AFB, California; Hamilton AFB in Bakersfield, California; Chico AFB, Chico, California and Las Vegas, Nevada. At Las Vegas, she transitioned into the B-26. During her time as a WASP, she flew the BT-13, AT-6, UC-78, B-26 and A-24 (used by the Navy in the Battle of Midway). 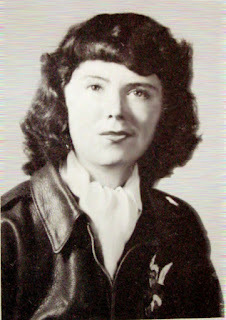 She was also one of a select group of WASP sent to officer training school in Orland, Fl. Following the deactivation of the WASP, Andrea took charge of the road accounting department for Kern County, California. 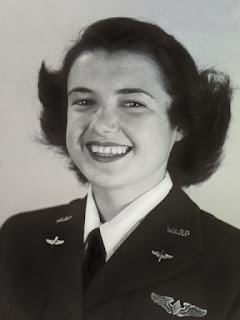 From 1951 to 1958, she volunteered to serve with the Air Force. 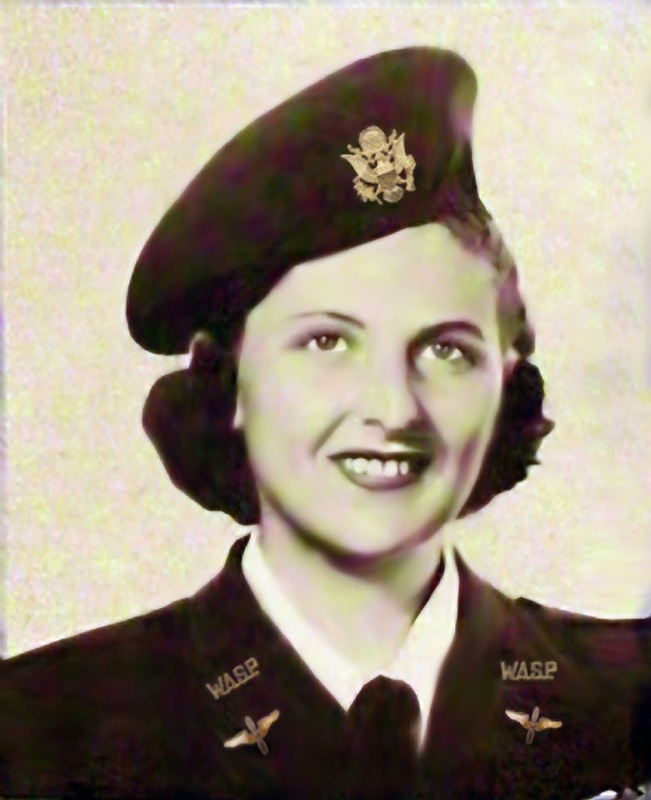 She became Commanding Officer of a WAF Squadron for 3 years and was then transferred to England, where she served as a finance officer at a small hospital base. After leaving the Air Force in 1959, Andrea earned her real estate license but eventually, took a civil service examination and was assigned to Anchorage, Alaska as a customs inspector. One of her most vivid memories was of the Good Friday Alaskan earthquake of 1964, which lasted 20 seconds and was classified 9.2 on the Richter scale. She later said, "It make 'Christians' of a lot of folks. It brought out the 'best' with everyone helping anyone in need. Andrea later wrote of her life in Washington: "I have developed a liking for the challenge of building things. With no background for carpentry, I have managed to put a 10' x 12' dec and repaired a c'xi 16' second floor deck...nothing spectacular--but bound to outlast the Pyramids! This special lady was truly one-of-a-kind. She had a lifelong love of country and neighbor. She took pleasure in building things and the beauty of the world around her. God bless those whose lives she touched. Taken from Betty Turner's "Out of the Blue and Into History," p 249.